GlobalMojo is the new tech startup that scored $1.15 million in angel investments and venture capital, including substantial backing from Founder’s Co-op. 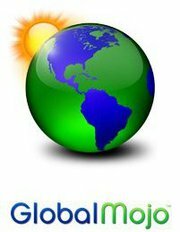 GlobalMojo CEO Daniel Todd is committed to making a difference and uses technology to do it. The Redmond based small business and thinkspace member company develops apps for web browsers that let people direct money to charities and causes of their choosing.With almost $30 billion spent online every month in the U.S. GlobalMojo helps people browse with purpose, allowing them to use online purchases to direct money to deserving causes.GlobalMojo is literally changing the world through web browsers. Buying something online for your mother-in-law’s birthday is now the socially conscience thing to do.If GlobalMojo were a cartoon character, they’d be a cross between Superman and The Pink Panther—saving the world, in a very slick way. GlobalMojo CEO, Daniel Todd has some advice for entrepreneurs looking to start their own slick startup: have advisers, hire great talent, and get feedback. Todd has a team of advisers who he can “beat up ideas with” and who aren’t afraid to hurt his feelings. This honest feedback allows him to make quick adjustments and produce results. Feedback from consumers is also priority and people can stay in touch with GlobalMojo via Twitter, Facebook and The Mojo Blog. Asking users what’s meaningful to them inspires ideas and helps create a browser product worth using. But Todd doesn’t just listen to users, he’s also in touch with his talented employees. 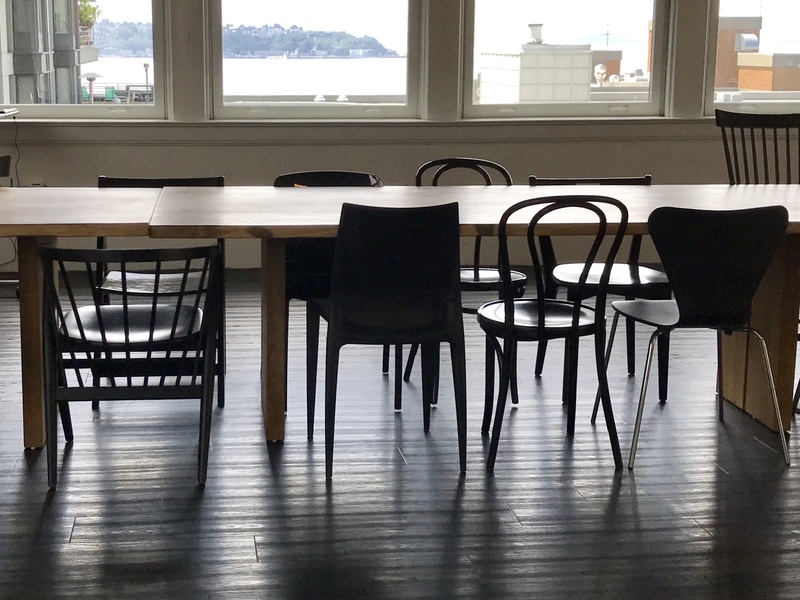 Employee culture matters around GlobalMojo, and “hiring the right people is one of the most fundamental pieces of long term success,” Todd says. And just to test how hip Daniel Todd really is, we used the universal measuring stick: Mac or PC? “I’m stuck as a PC, but I’m seeing the light. It’s only a matter a time, and then I’ll make the jump. So, I guess I’m a PC, soon to be Mac?” Can’t argue with that. What will be Facebook's kryptonite? With Google+ quickly gaining a strong user base, the question keeps popping up: Is Facebook invincible? It wasn’t long ago that MySpace was the end all, be all in the world of social networking. Just a few years later, the once up-start Facebook, dominates. The grip Facebook has on our world is tight; with over 600 million users, 2.5 million Facebook integrated sites, and 30 billion pieces of content moving across the network, Facebook is buried deeper into everything we do online than any social network in history. The question is, is that grip strong enough to overcome new challengers, privacy concerns, and a future that will eventually include going public, more talent wars, and a constant battle to avoid becoming stale like many networks before it? Threat 1, Losing Control: Facebook will have to go public eventually and that presents an opportunity for some instability in the organization. Never before has a young CEO like Zuckerberg kept control this long and this successfully. Becoming a publicly traded company may change the power structure depending on investors demands the nature of the sale. Keeping the top of a Facebook hierarchy that has steered the company to its crazy success in place, may prove an impossible task over time. Threat 2, Losing Talent: There is a talent crunch in Silicon Valley and the talent wars with companies like Google are only making a shrinking pool of engineers that much more valuable, and expensive. If Facebook can’t remain one of the ‘cool’ places to work, they risk losing out on the young talent that will drive valley companies in the near future. Threat 3, Competitors and the Open Movement: There is a lot of buzz about potential competitors to Facebook that may rise up very soon. Google now has Google +1, and you know they have all the talent and cash in the world to throw at it. Other competitors that have momentum because of the stark contrast of their open model to Facebook’s closed system are Diaspora and OneSocialWeb. Both are fairly small start-ups, but growing unrest over ownership and privacy issues are priming people for an open solution that puts them in control. Will a Dark Knight rise up to take Facebook's place? To think that one day Facebook might not be as powerful or as inescapable as it is today, almost seems strange. I can imagine a world where Facebook’s power only grows; more integrated sites, more services requiring a Facebook login, and more apps designed for the Facebook API. To be fair though, I never saw Facebook overthrowing my once beloved MySpace. How wrong I was. 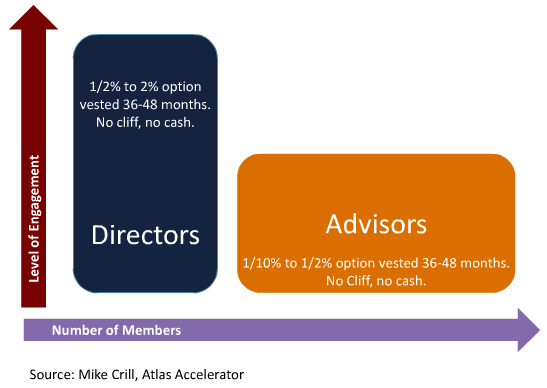 Organizational instability, key talent losses, and a new, ‘cooler’, network all came along to overthrow Tom for Mark and the same could happen to Facebook. Sometimes we forget that Facebook is a business and it has to deal with the same issues every other business does. So will a new kid on the block overthrow the Facebook kingdom, or will King Zuckerberg tighten his grip? Can Google steal enough talent and overcome a failed Buzz experiment to become the go-to social network? Or will an open start-up solution take the world by storm like Facebook once did before it? What do you think? Will you be Facebooking in 2 years? 5? If not, where do you think you’ll be? https://thinkspace.com/wp-content/uploads/2013/11/website-thinkspace-logo-teal-155x69.png 0 0 Mitchell Cuevas https://thinkspace.com/wp-content/uploads/2013/11/website-thinkspace-logo-teal-155x69.png Mitchell Cuevas2011-08-31 04:00:402011-09-02 10:46:33Is Facebook Invincible? thinkspace is hiring and training new smiling faces. We want to let all of our frequent readers know that we are going to bring in an amazing guest blogger, Mitchell Cuevas to entertain you for the next couple weeks. He’s got some creative content, an entrepreneurial mind and a knack for writing some great articles so stay tuned. You won’t want to miss this! The universe really likes Newline Software. Why else would it pick such a crazy way to inspire its co-founder, Kory Gill, to create the online data storage start-up? Instead of just clicking a lightbulb on over Gill’s head, the universe went for more dramatic inspiration: lightning struck Gill’s house.”Three computers were fried, and I realized that no digital photos were backed up,” Gill says. He lost priceless photos and memories of his family. The lightning got Gill thinking. Lightning doesn’t strike twice, but what about some other natural disaster? What if his computer broke? Backing up data in Gill’s house wasn’t safe. He had to save his files online. But when Gill tried to find a site to store his data, he found that none offered what he needed: security. Gill realized that no site truly protected data. Either data was not encrypted enough, or when it was retrieved, the data came back corrupted. He decided to make his own data storage site, one that really met customers’ needs. Gill and his colleague, Marius Nita, left Microsoft to found Newline Software, soon joined by Peter Denniston. 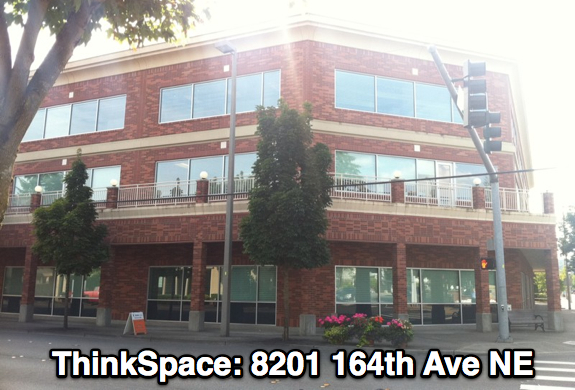 Newline Software became a member of thinkspace, and leased an office in our Redmond building. Then the start-up started work on their biggest challenge: creating a safe storage site. “If you encrypt everything, how do you get it back?” Gill asks. But in June 2010, inspiration struck again, this time with the solution to Newline’s riddle. Now, the data storage site 3exact.com, or Exact, is “the only product in the world that can search encrypted material.” When you type in a file name, Exact finds it without ever knowing what it’s looking for. There is no way for Exact to use, or misuse, your data. Exact is the only “product that gives users 100% privacy,” says Denniston. Whether lightning strikes, a laptop breaks, or a tabloid hacks your computer, everyone needs to ask, “Is my data safe?” Exact is the answer. Learn more about secure online data backup at http://3exact.com. Maybe it’s fate that David Wachter, who is the founder of Seattle startup Hivemyne, wanted to be a meteorologist when he was a kid. “I was obsessed with weather,” admits Wachter. “I scoured the library for books about how weather worked.” These days, he forecasts a different kind of weather: the mood of the Internet. You can look at raw info all you want, but without the human touch, it’s just a bunch of numbers. The connection between companies, products, and customers is lost. Hivemyne bridges that gap and “get answers out to people.” Boeing and Microsoft are just a few of the companies who use Hivemyne. Those words describe perfectly what Hivemyne does. They make clarity out of chaos. Their name explains it all. A “hive” is a storehouse of honey, delicious information “mined” for meaning. So why is “mine” spelled with a “y” instead of an “i”? Simple. The info is “yours.” Hivemyne is part of Web 3.0, where every Tweet can change the world. Even an “LOL” matters.